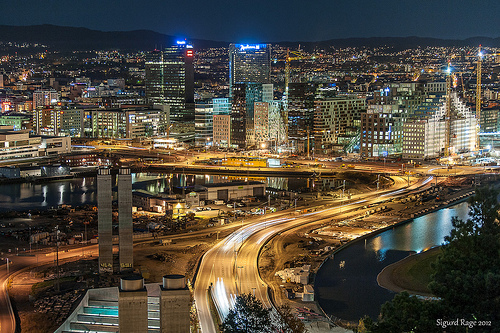 Norway’s $860 billion sovereign wealth fund — the world’s largest — has decided to abandon algorithm-based High Frequency Trading (HFT). The electronic “trail” left by such trading allows traders elsewhere to profit on the HFT orders placed by the fund. But the decision comes at a very tumultuous time for HFT trading: Although the majority of stock market trade volume is by way of HFT, regulators continue to cry “foul” when HFT abuse crosses the line into market fraud. HFTs have become controversial in large part due to the fact that they now account for at least 50 percent of all trades transacted by traders in United States equity markets — although in 2011, that figure was widely quoted as being as high as 70 percent. But it is not just the percentage of volume that has sparked debate over its implementation but also whether it places conventional, institutional investors at a distinct disadvantage. In addition, the technology has given rise to a category of stocks known as “HFT stocks” that are favored by HFT traders. These easily traded, highly liquid stocks in large companies put long-term investors at a disadvantage if they do not employ the fastest trading media utilizing the latest, most aggressive algorithms. Defenders of HFT point out that it lends greater liquidity to the market. However, opponents cite instances of large orders being placed only to be immediately canceled, creating nothing more than “phantom liquidity.” The SEC recently investigated a New York HFT firm for the manipulative practice of placing rapid-fire, aggressive trades in the last two seconds of almost every trading day during a six-month period from June through December 2009 that resulted in the manipulation of closing prices of thousands of NASDAQ-listed stocks. The tactic overwhelmed the market’s available liquidity and artificially pushed the closing price in the firm’s favor.